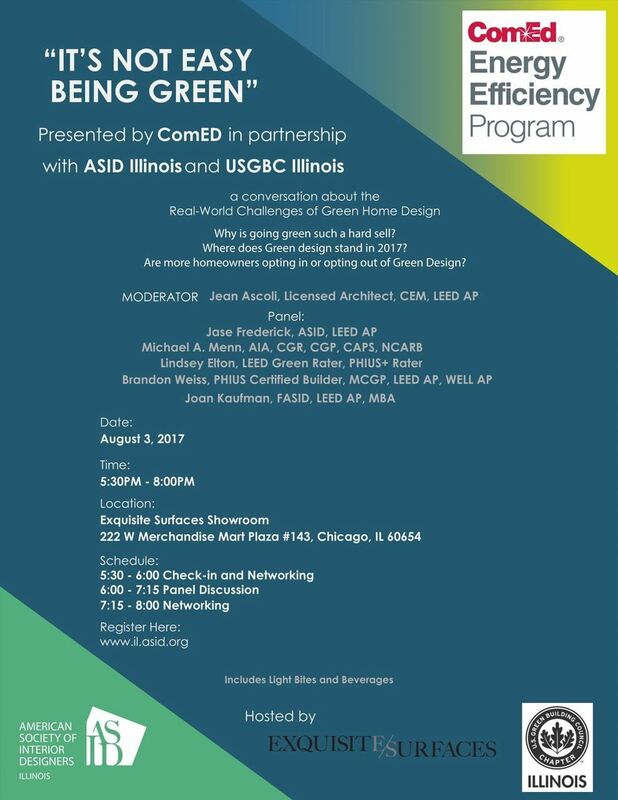 In partnership with ComEd, please join ASID Illinois and USGBC-Illinois for a conversation about the Real-World Challenges of Green Home Design. The panelists will explore the following questions and provide local residential examples: Why is going green such a hard sell? Where does green design stand in 2017? Are more homeowners opting in or opting out in green design? Discussion Moderated by Jean Ascoli of ComEd. Register online at www.il.asid.org or download the event invitation.